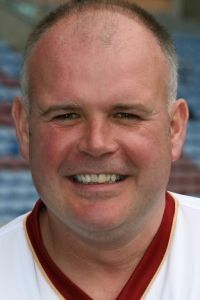 Dave left the Clarets in October 2007 to join Notts County as assistant manager and held that job through the turmoil of the 2008/09 season, even acting as caretaker manager for a spell. Last season, as another manager came and went, he was dismissed himself and joined Stockport before experiencing the same thing as the manager was sacked. He ended last season at Hereford and was then appointed assistant manager. He'd left Stoke for Burnley in the summer of 2004 and Hereford manager Jamie Pitman has confirmed that Kevan is now leaving Hereford for a return to Stoke, where he'd previously worked for Tony Pulis. He will become the youth team coach at the Britannia Stadium.